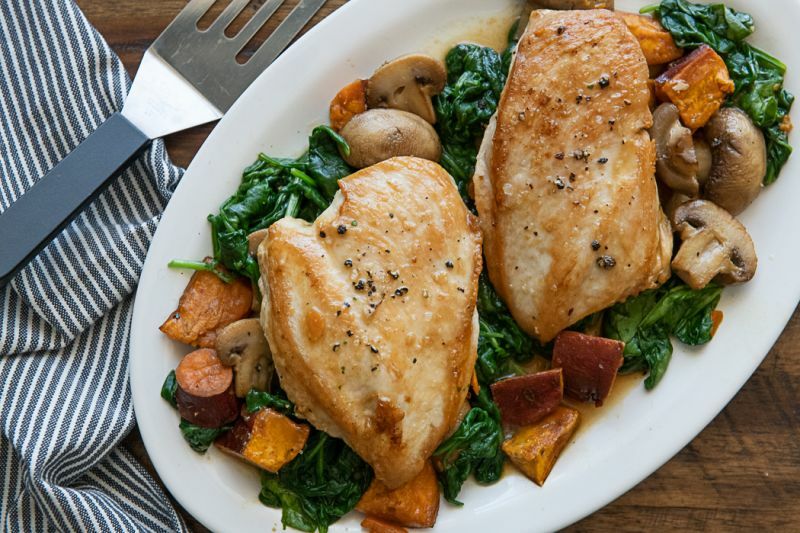 Pan-roasted chicken breast sits on a bed of sauteed greens, sweet potatoes, and cremini mushrooms and finished with a savory ginger pan sauce. 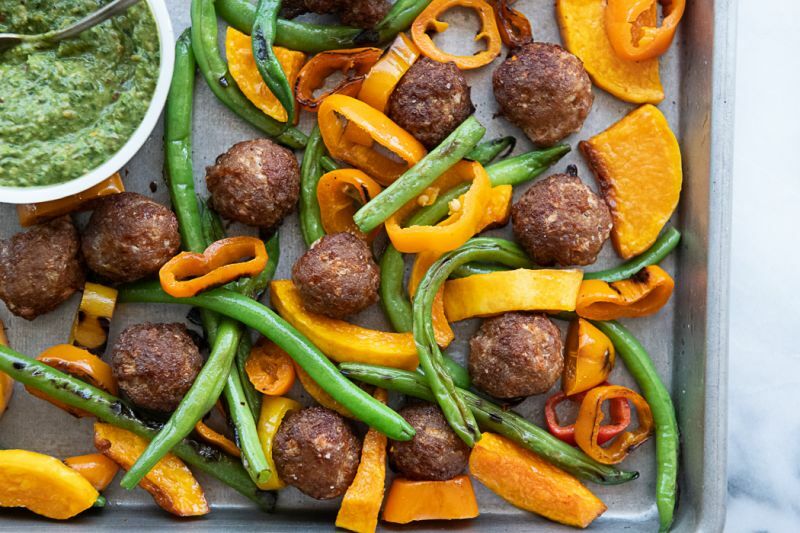 This no-hassle sheet pan dinner features McCleery Family Italian pork sausage to make tender and flavorful meatballs, roasted alongside butternut squash, green beans, and sweet peppers, all drizzled with a peppery arugula pesto. 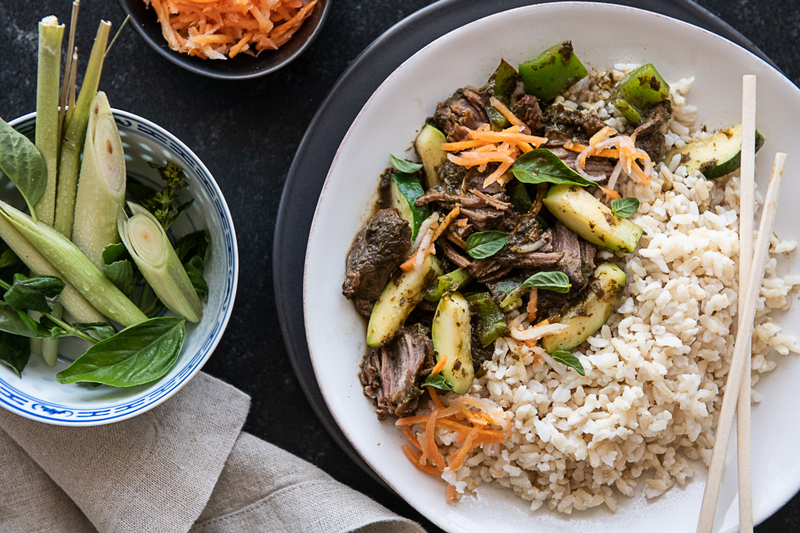 This Vietnamese-inspired slow cooker dish uses flavors of lemongrass, ginger, and basil to complement tender beef – all served over a bowl of brown rice with zucchini, Anaheim pepper, and pickled carrots. We can’t get enough of mezze-style eating, with so many dips and spreads and flavors all on one table. 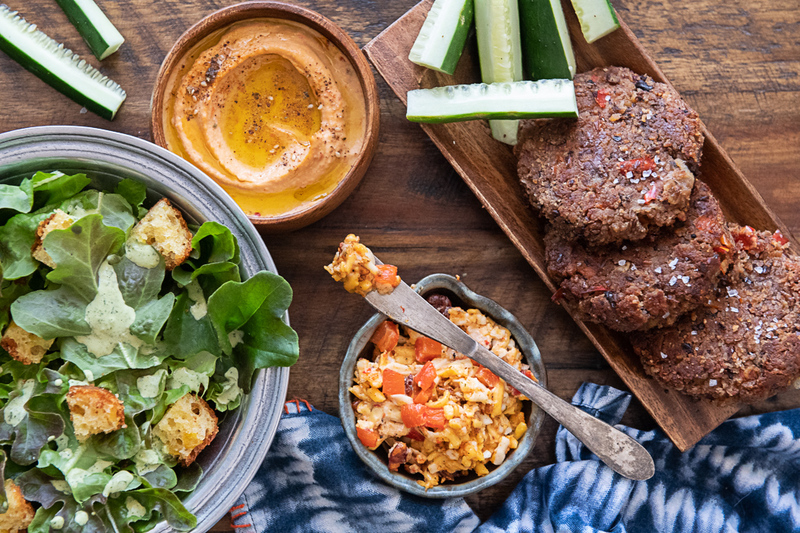 Here, we feature some of our favorite Texas flavors – home made pimento cheese, perfectly crisped black bean cakes, bean dip, crispy crudite veggies, and a green salad with cornbread croutons and Hatch Green Goddess Dressing.